The film Scream for Me Sarajevo will be released beginning May 10th in select theaters across the US and Canada, it was announced today by CineLife Entertainment, the event cinema division of Spotlight Cinema Networks, and Eagle Rock Entertainment, a producer and distributor of music films. Scream for Me Sarajevo is the astonishing true story of one of the most unlikely rock concerts ever staged, in a city under siege with mortars and grenades raining down on civilians, killing indiscriminately. The 1994 concert features global rock star Bruce Dickinson and his band Skunkworks who performed in the midst of the siege of Sarajevo. This is a film about extraordinary people defying the horrors of war, and the musicians who risked their lives to play a show for them. Featuring footage from the historic gig, the film also features concertgoers who made it to the show despite the atrocities going on around them in the capital city of Bosnia and Herzegovina. Interviews with the band, crew and security bring home the grim reality of the dangerous and often barbaric conditions surrounding the event. 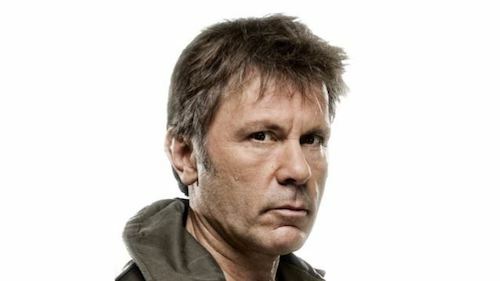 In addition to the feature film, a specially recorded interview with Iron Maiden frontman Bruce Dickinson will be included as exclusive theatrical-only content in participating theaters. “We are excited to be working with Eagle Rock Entertainment to bring this special film to moviegoers, and Bruce Dickinson and Iron Maiden fans in the U.S.” said Mark Rupp, Managing Director, CineLife Entertainment. To purchase tickets, visit screamformesarajevo.com.